If your company is already registered in the program and you would like access to the portal, please click on the link below. Completing the courses within the core curriculums is a required step for all PowerAdvantage Partners. 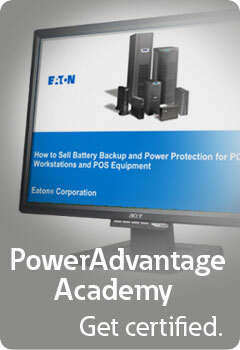 Completion of these courses is important to maintain status as a Authorized PowerAdvantage Partner. The core curriculum consists of two tracks - Power Basics and Power Management. Within each track, there are individual courses which cover valuable topics like powering virtualization and selling against the competition. Not a PowerAdvantage Partner yet?